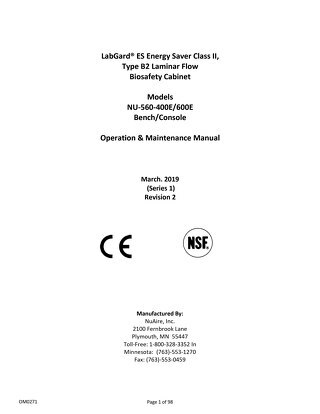 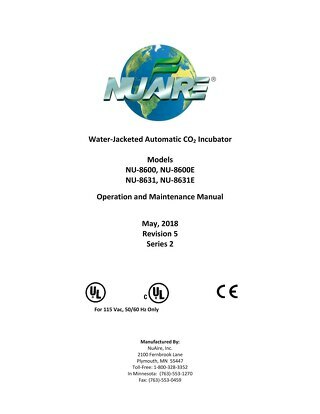 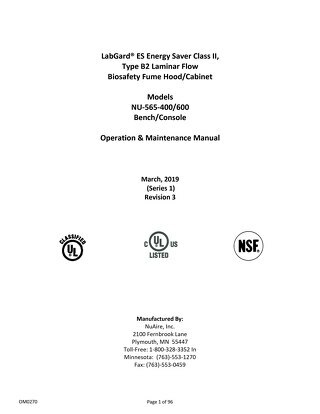 Operation and maintenance manual for LabGard model NU-813 Series 33 Containment Ventilated Enclosure (CVE). 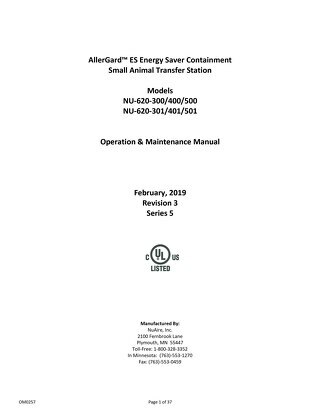 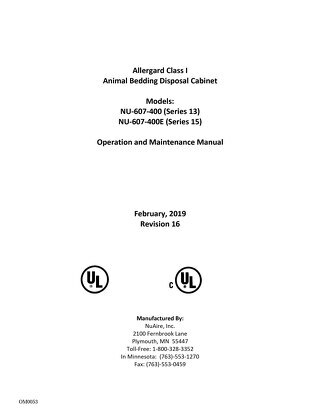 Operation and maintenance manual for AllerGard NU-607 Class I Animal Bedding Disposal Cabinet. 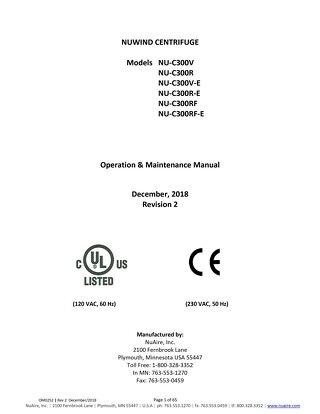 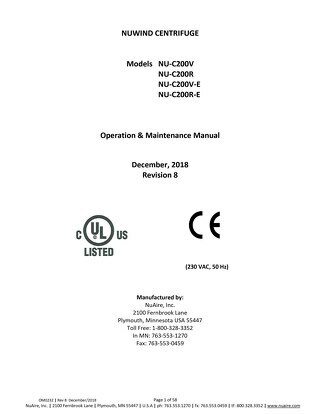 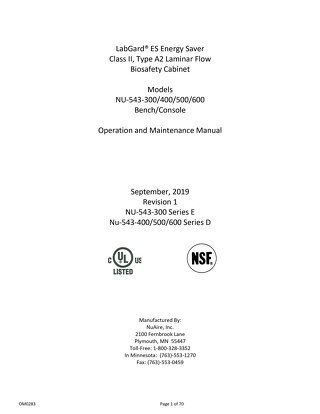 Operation and maintenance manual for 230-Volt AireGard Console Style Horizontal Laminar Airflow Workstation (LAFW) model NU-340E Series 1. 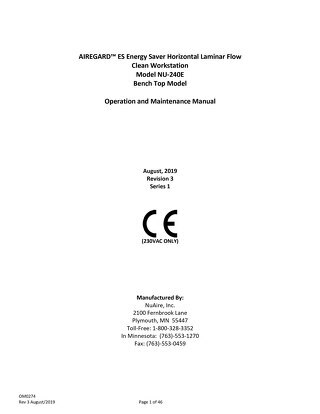 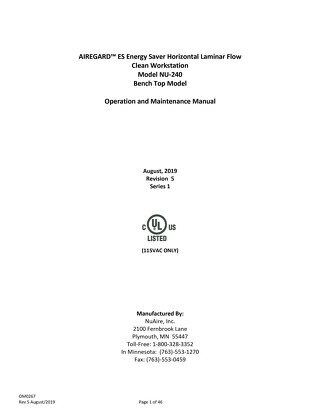 Operation and maintenance manual for bench top style AireGard Horizontal Laminar Airflow Workstation (LAFW) Model NU-240 Series 1. 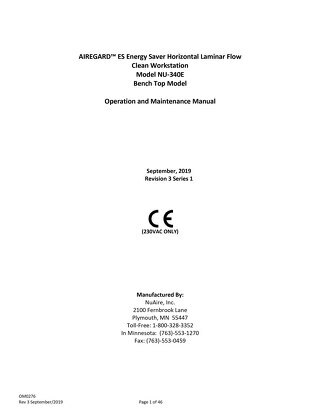 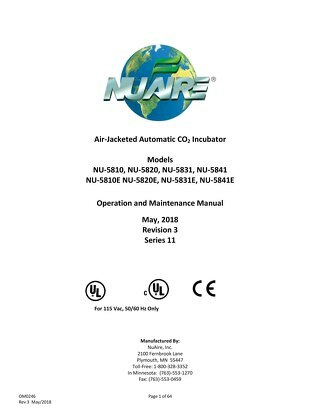 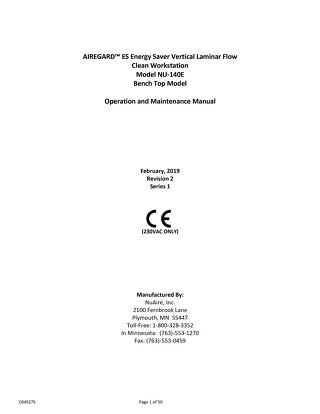 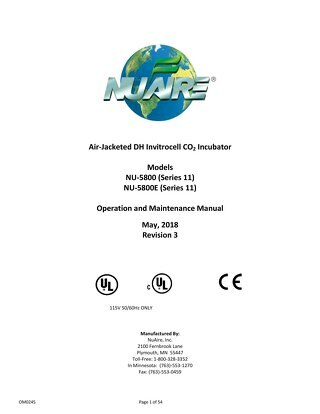 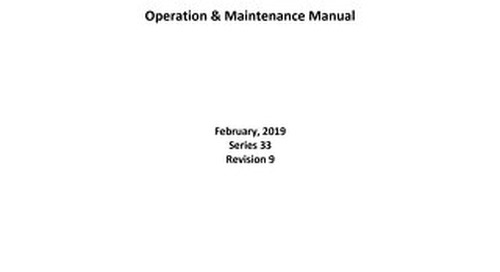 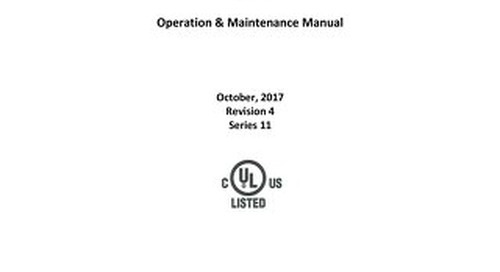 Operation and maintenance manuals for AireGard Laminar Airflow Workstation (LAFW) model NU-340 Series 1. 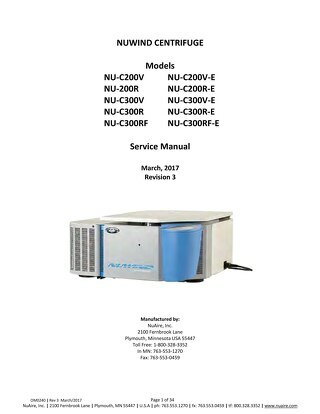 Product manual for NuWind Laboratory Centrifuge models NU-C200V and NU-C200R.